Here’s one from earlier in 2018. 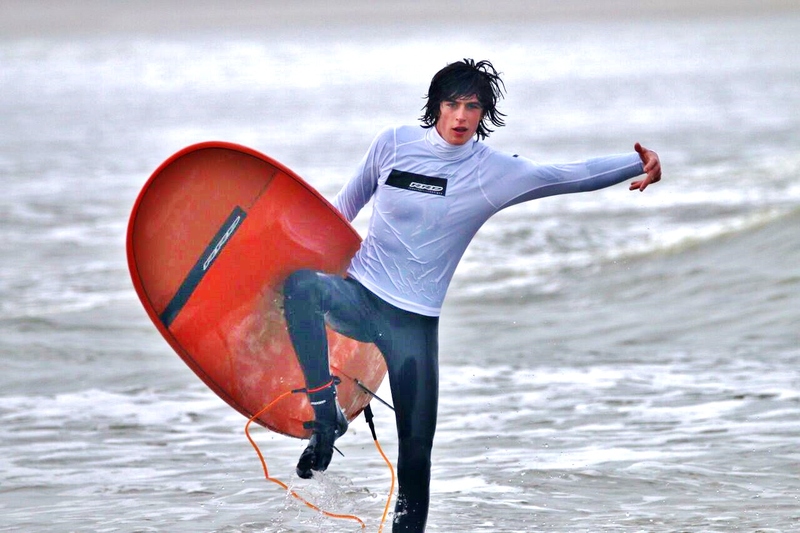 Ollie recently took the BSUPA UK National SUP Surf title. Ollie Laddiman is one of the most progressive SUP surfers the UK has produced to date. Involved with stand up from the early days he’s been a wave chaser and competitor longer than most have actually been paddling – not bad for someone still young. Recently Ollie switched from long time supporter Escape to RRD gear. And with success across the brine in Ireland, during the annual IrishSUP Surf Classic 2018, we thought it a good time to catch up with the Welsh ripper and find out more. Tell us how things have changed for you in the last few years with regards to stand up. You’re now working full time. How has that impacted your SUP surfing? To be honest I probably now have a bit more time on the water. Depending on what day it is obviously. Some days at work we finish earlier than expected so can squeeze an after worker in. Then on occasion, when the surf is good, and it’s a quiet day at work dad will let me have the day off, which is pretty good of him! Are you suffering through lack of surf time or still getting as much in the bag as ever? Getting as much surf as ever, but that doesn’t mean I’m not suffering from lack of surf! It is still pretty fickle up in N.Wales! Learning to drive has helped big time though. Do you have to schedule and plan more these days to get your fix? Haha! Not at all! When there’s surf I’ll do my best to be there. You’ve always been a competitor, mixing it up both domestically and internationally (when possible). Do you get a buzz from events and comps? Would you recommend it to others and if so why? Definitely. The pressure of a 15 minute heat is pretty intense in both good and bad ways, it really makes you concentrate on your surfing unlike when in a free surf. I’d 100% recommend entering or even just going to watch a comp. I really like going to the international competitions just to see what the next level is; what I need to aim for; and what I need to work on next. Where’s your fave place to compete? Fave place to compete has to be in the Irish SUP event. No questions asked! Just the atmosphere, the people and (usually) a week of good surf. Can’t beat that. And SUP surf in general? Where would you most like to surf given the opportunity, and why? I think it would be New Zealand because again the possibility of warm, uncrowded waves, is too good to miss. Do you have a specific training regime or is it simply about getting wet and putting the hours in? Does work count as training? Haha! Otherwise it’s just get out there and go surfing. I do really need to start training though. Have any dietary requirements to help with your riding? Not really no. I am a vegetarian but I don’t link it with riding. I just eat whatever really, ideally something sugary. Between you and Aaron (Rowe) you’re one of the most progressive SUP surfers the UK has. Any plans to step up further and take it to the world stage again? I’d obviously like to! Whether I make qualifying or not will be the final answer to that question. How do you think you’d fare against the likes of Mo (Freitas), Zane (Schweitzer) and crew? Not a chance! Those guys are in a different league still. They’re as good as I’d aspire to be, but I’m still a long way off yet. What part of your game do you think you need to improve before you could have a shot at the title, so to speak? Probably everything. Wave selection, commitment, radicalness. It all needs working on. 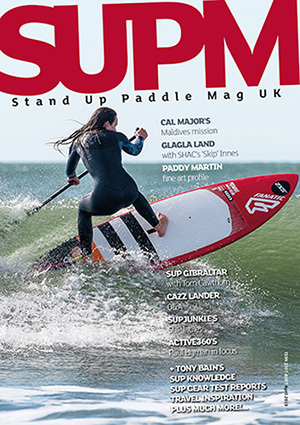 There aren’t many young ‘uns involved with SUP surfing and coming up through the ranks. Do you see this changing any time soon? What would you say to encourage other paddlers your age to get involved? I’m not 100% sure on that one, I don’t think we’re gonna have a spike of kids coming into the sport. I’d say SUP surfing is difficult to get into without parents having a background in watersports, but I’d say get down to your local centre, rent some kit and give it a go! You won’t know that you like it without doing so. Do you see any new blood coming into the sport your way? If so, who should we be keeping an eye on? Over our way (North Wales) there is pretty much no interest at all. There are a few summer chargers by the likes of Ollie Duke and Henry Godber, but no serious interest really. New blood you should be keeping an eye on however is Mia and Lucy Hamilton over in Ireland. Those guys are charging! Talk us through your new gear and what you’re riding these days. New gear: the best thing you can get through the post! I just moved over to RRD as you said, and I’m now riding the 7’5 iWave Pro V2 as well as the LongSUP 9’0. How did RRD’s support come about? 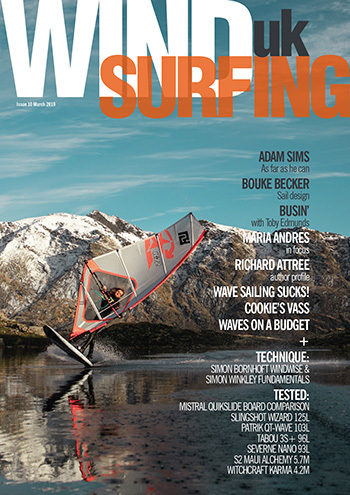 I think it came about as I am a team rider for K4 Fins. Murray (Saunders) who runs K4 with Steve (Thorp) recently became the importer for RRD in the UK. He heard they were looking for a UK team rider and passed my name across. They obviously liked what they saw. How will you be helping RRD? Any plans to get involved with R&D? I suppose I’ll just be helping in a promotional manor. R&D? I don’t think I know enough about the dynamics of boards to help out with that (yet). Has it been weird transitioning from custom gear to production sleds? What have you noticed most from the switch in kit? The LongSUP obviously is massive compared to my old one! This is 28” wide whereas my custom was 24”. I was, however, surprised to find it was still good fun and was cracking to surf. It obviously rides completely different, but still a hoot. The iWave has super similar dimensions to my old custom, surprisingly it was lighter as well! When riding a custom I thought wax was the way to go and deck pads were stupid, but deck pads are actually really good I’m now finding. What do you have to do in return with regards to exposure? Post up some pics, hashtag a few things, possibly go to a demo day or two and go to as many comps as I can. What advice would you give to aspiring paddlers looking for sponsorship opportunities? Email anyone and everyone you can! Link some radical pics, or vid clips, then hope for a response. Any team rider trips in the pipeline for 2018? Not that I’m aware of no. We spotted you’ve been surfing sans paddle a few times. How’s this been for you? Prefer it or just a different way to slide? I really enjoy it! Good to mix it up a bit, keeps everything fresh. Usually only used in windy conditions when a SUP is just no good. Any plans to get involved in other watersports, if so, what? I suppose windsurfing is on the cards, but that’s mainly when I get bullied out by dad, haha! I think I do need to get on it though. Obviously a big thanks to RRD for taking me on this year and sorting me out with some quality kit. 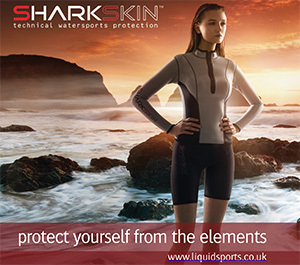 Of course a big thanks to Steve Thorp from K4 Fins for the continued support over the years. Then a thanks to Funsport Rhosneigr for keeping me warm through the winter with suits and general kit. I suppose the old man (Steve Laddiman) deserves a thanks as well for the slack work hours and occasional snap he takes.